... will have children hysterical with laughter, and parents happy to reread it until it falls apart. Then the wolf met the three little pigs. ‘Hey, little bacon bits! Still skipping about in the woods trying to lose weight? Tell me, little butterballs, who’s the handsomest of all?’ demanded the wolf. Ramos uses thick layers of paint and heavy black outlines in his engaging pictures, while building readers’ expectation through the wolf’s increasingly pompous inflections. Told with humour and charm, this story about a narcissistic wolf and a variety of fairytale folk was written and illustrated by talented Belgian writer Mario Ramos and first published in French. The vocabulary is a bit more complicated than your usual picture book, so it’s the older preschoolers who will likely get more from the plot and enjoy the wolf’s final comeuppance. Fairies, spies, a detective mouse and vampires all make great book characters. At least that’s what young Timaru readers reckon, based on what they have borrowed from the Timaru children’s library this year. More than 4000 young readers are enrolled with the library, and youth services librarian Sue Maxwell has a pretty good idea of what they like. New Zealand publisher Gecko Press is translating and publishing award-winning European children’s books, and two of those, I am so Strong and I am so Handsome, by Mario Ramos, have been on the most-read list this year.. These two gems, translated from French, feature an egotistic wolf wanting his personal conviction confirmed that he is the strongest (I am so Strong) and most handsome (I am so Handsome) creature in the woods. He practices his condescending flattery on a variety of fairytale characters, who initially have no choice but to agree with his boasts. Familiar favourites are addresssed by the wolf as ‘my little wild strawberry’ (Red Riding Hood) and ‘my little bacon bits’ (Three Little Pigs). The tables are turned, however, with a clever twist in each book, which results in the wolf receiving his comeuppance from unexpected quarters. These two linked titles feature a delightful combination of picture and text that will have wide appeal to all ages. `.a winner. .. Young children will enjoy the incorrigible wolf who saunters through the forest asking little Red Riding Hood, the three little pigs and others `who is the handsomest of all?’. The wolf also features in another excellent Gecko book by Ramos, I am so Strong. Camillia During rounds up the best recent kids’ picture books: Two books by Mario Ramos, I am so Strong and I am so Handsome feature an irrespressibly boastful wolf. Everybody will cheer when this bully gets his comeuppance. 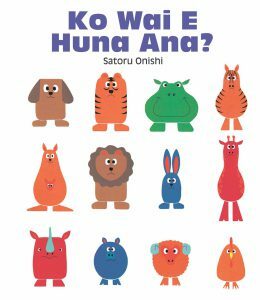 In an age when everyone is overly concerned about being politically correct we love this book that is so refreshingly not politically correct! 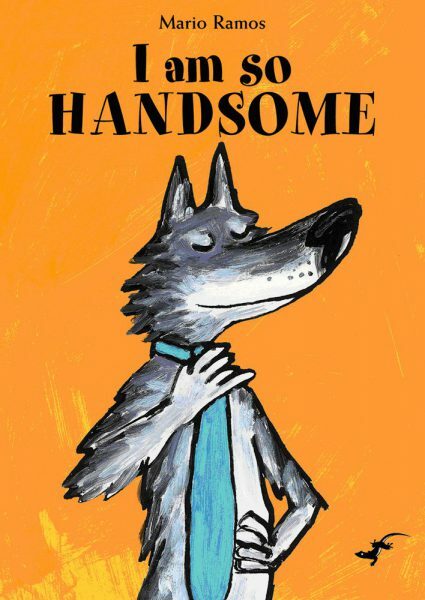 In I am So Handsome, the incorrigible wolf saunters through the forest asking everyone he meets ‘Who is the handsomest of all?’ He bullies Show White and the three little pigs into giving his ego a boost but meets his match when he meets the little dragon and his dad. Stong and cheeky text the kids will find incredibly funny! Gecko Press produces another gem of a book, which will have children hysterical with laughter, and parents happy to reread it until it falls apart. Arrogant and suave is our main character the wolf, swaggering around the woods asking such characters as the seven dwarves and Little Red Riding Hood who they think is the handsomest of them all. They all reply that of course he is. ‘Heh, Heh! I shine, I dazzle, I gleam, and I glitter. I light up the woods with my presence. I am the most marvellous.’ Read the story to find out the wolf gets his comeuppance. I am so Strong follows the same plot to equally good effect, but with another hilarious ending. 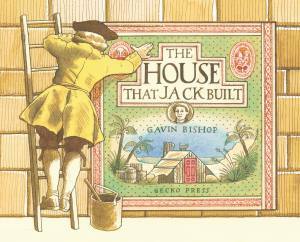 An entertaining lesson on narcissism (for both child and adult), told with humour and charm, and the illustrations are a perfect match for the text. 3-7 years. In these charming stories an arrogant, yet strangely appealing, wolf decides to confirm that he is the strongest and most handsome of all those who live in the woods by interrogating an array of folktale characters. While adjusting his blue tie with a swagger in I Am So Handsome Wolf advises the tiny seven dwarfs that work must be the cause of their dreadful demeanour and once again confirms his status as the handsomest of all. Wolf’s confidence grows until he meets the smallest creature in the woods and with an amusing twist receives his comeuppance. 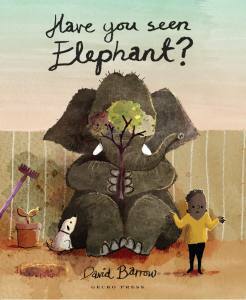 With the dimensions of a large paperback novel, these short story-come-picture books are ideal for progressing readers. The illustrations, which appear to be executed in gouache in vibrant, solid colours, add humour and irony to each of Wolf’s situations. The progression of his journey is perfectly told in the pictures and words. Translated from French, the writing captures the feel and tone of the fairy and folktale genre. The visual joke ending of I Am So Handsome will have young children and adults sharing a laugh together. Highly recommended. Maria Ramos is an award-winning Belgian children’s author whose works appear in many countries. These books will appeal to children from the age of three upwards and feature the Big Bad Wolf who gets his comeuppance from a little toad in I Am So Strong and a baby dragon in I Am So Handsome. The illustrations are strong and cheeky and the ending makes you laugh. Kim: Yes, yes, I am so Strong, very funny. Kate: . and I recommended them to so many people. And just a very amusing take on the wolf of fairy tale. Kim: How clever it is. It’s like. how do you make that so funny, just the sheer look of this wolf makes you laugh. Kate: Yeah, it’s a beautiful kind of amalgam of illustration and text. 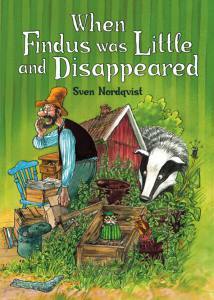 The text is very funny, and there’s the patterning that comes in all the best children’s stories. The wolf is, you know, full of hubris and is asking all the characters from fairy tale and in the forest, red riding hood, the pigs etc. ‘who is the strongest?’, ‘who is the most handsome?’ and they, in their slightly nervous way are saying, ‘you are’, ‘you are’, ‘you are’. and then comes the little dinosaur who says ‘my mum is’ and then he accuses the dinosaur of being a ‘miserable little gherkin’ which I just love (laughs) – so there’s great language, it’s very funny. Kim: One of the things I like about these Gecko Press translations is that you get words that you would not normally get in books that were aimed at this age group, for example the last sentence in I am so Strong, by Mario Ramos says, ‘who me? I’m just a harmless little wolf, said the wolf, backing prrrudently away’ – and prudently is just such a fantastic word, but you’d never find it in your average picture book would you? Wellington based Gecko Press doesn’t know how to stumble. In ‘I am So Strong’ and ‘I am So Handsome’, Belgian writer-illustrator Mario Ramos tells two simple anti-hero stories. In each one, the Big Bad Wolf marches smugly through the woods, bullying everyone he meets, until he happens across an ugly toad creature…oh dear, it’s a baby dragon. And here comes Mum. Hilarious. …the wolf saunters through the forest asking everyone he meets, including Little Red Riding Hood and the three little pigs: ‘Tell me, who is the hansomest of them all?’ – and gets his comeuppance from a baby dragon. Wolf, who is very vain, goes for a stroll in the forest so that everyone can admire him. Well, Little Red Riding Hood thinks he’s handsome, so do the Three Little Pigs, even the Seven Dwarves and Snow White too, but then the vain animal gets his comeuppance from an extraordinary creature. This, and the companion volume ‘I am so Strong’ are notable for both the exuberance of the text and the skill of Ramos’ illustration of the incorrigible wolf. So pleased with himself as to be almost unbearable, preening and posturing, the wolf strolls through the woods asking everyone he meets (all recognisable fairy tales and all, of course, much smaller than he is), who they feel is the handsomest creature in the area. To this, they all most prudently reply that it is he, of course. That is until he meets the baby dragon whose Dad just happens to be bigger than everyone else around. Mario Ramos manages to portray the insufferable wolf in a few masterly strokes so we all see him in people we have known in real life who we would gladly throttle! The wolf is out for a walk after breakfast wearing ‘his finest clothes’. The first picture shows him strolling along (on his hind legs) wearing a blue tie and a self-satisfied smile. Young readers will enjoy the references to familiar stories as the wolf encounters Little Red Riding Hood, Snow White and the three little pigs. Each time he meets someone, the wolf asks who is the best-looking in the forest. Intimidated by his manner, they all assure the wolf that he is the most the most handsome. ‘I shine. I dazzle, I gleam and glitter’ he exults, ‘I light up the woods with my presence’. Then the wolf meets a tiny baby dragon and gets a thoroughly unexpected (and funny) answer to his question. The author’s bold and attractive illustrations make striking use of the whole page. I handed these books to a nine-year-old and an eleven-year-old and asked them to tell me what they thought. Within minutes, they were both giggling and telling each other little bits about the book they were reading. Both [I am so…] books have the Big Bad Wolf gadding about in the forest and asking all and sundry – including the three little pigs and Little Red Riding Hood – who is the most handsome or who is the strongest person they know. He gets the reply he’s looking for every time and struts about with a big head singing his own praises – until he meets someone with a different answer. I laughed out loud at the end too. 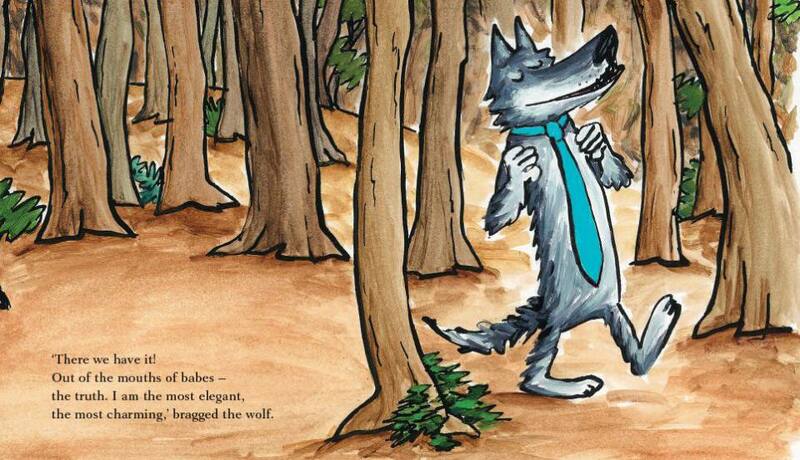 In the second book about the Big Bad Wolf, he puts on his finest clothes and saunters through the woods asking everyone he meets who the handsomest creature is. Once again all but the little dragon agree that it is him. When he meets the little dragon though (making sure his mother is not around) the wolf again gets his comeuppance most unexpectedly and satisfactorily. It has an ending that you can’t help but laugh at, and a real charm with superb illustrations matching this enjoyable story. A very vain wolf strolls through the forest asking, ‘who is the most handsome of them all?’, and insults everyone with his wacky put-downs. Another Gecko Press gem. The language is hilarious in this book – sooo much fun to read. Cheeky & smart with great rhythm, and a very satisfying ending. 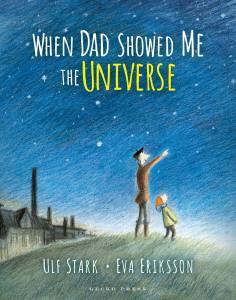 Finn was 3 when I gave him this book – and he still talks about it now being one of his favourites… and he’s 6.